Is Capturing End User Experience a Role for Tech Teams? You are here: Home / Collaboration And Convergence / Is Capturing End User Experience a Role for Tech Teams? Capturing end user experience is critical to customer success, especially within the industrial Internet of Things (IoT) smart plant ecosystem. Are customer experience programs tailored to this business-to-business, smart manufacturing ecosystem or do your programs utilize business-to-consumer tools? Does your organization focus on capturing end-to-end experience or simply feedback from decision makers? 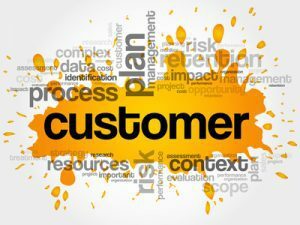 My core professional mantra is: “Depending on where we sit around the business and operations tables, we all see the same things – differently.” Leveraging differences and similarities throughout the customer experience continuum is important when executing customer success and customer retention strategies. Insights from end user experience are the basis for new product design and process improvement to better serve existing customers and acquire new customers. Client teams become more engaged when part of a continuous improvement journey. Do end users see the world the same way that decision makers do? When leaders say your organization “stays close to the customer”, how close are you really getting –and staying? Consider this. Decision makers are far more strategic than tactical and detail-oriented. Often, end user experience anecdotes are thrown into the Customer Experience (CX) aggregated stew pot. Capturing end user experience is not measured as a discrete segment of CX quantitative analysis. Your organization misses out on insights critical-to-quality and critical-to-process-improvement. Capturing end user experience creates a culture of team listening, understanding, translating and defining opportunities. Articulating Voice of the Customer captures the subtleties of customer expectations, preferences, must-haves and no-no’s. Customer experience is a qualitative as well as a quantitative endeavor. It all boils down to the individuals responsible for listening and translating Voice of the Customer data. Where do they reside within your organization? Capturing End User Experience behind the Smart Manufacturing Firewall creates a Customer Experience Conundrum. Marketing, sales and advertising disciplines within line of customer-facing business units are adept at capturing and measuring external customer experience. However, what happens when your product, solution or equipment is placed behind the security firewall of a smart factory? The manufacturing leaders with whom I’ve spoken describe this phenomenon as the post-sale product and service “Black Hole.” Capital equipment, sensors and software often enter a proprietary manufacturing ecosystem contractually mandated by your clients’ clients. As a result, your own customers are not as receptive to post-implementation initiatives to “stay close to the customer.” How can your organization remotely monitor or gather on-site data critical to optimizing operational efficiency and predictive maintenance programs? Anecdotal qualitative feedback from decision makers within the departments utilizing equipment, sensors and software. However, decision makers predominantly are not end users of what was sold to that client. Far too much guesswork about factors contributing to customer experience. These assumptions, over the long haul, impact customer success and customer retention. Tech Teams create your best chance to capture End User Experience. Within smart manufacturing environments, tech teams can operate as Voice of the Customer data collection units. Field operations and technical service teams often inhabit the front lines of the equipment-software user interface. How do you currently deploy these valuable employees? Do you consider them tactical “fix-it” agents or strategic assets critical to customer success and customer retention? When tech teams only enter the business or operations equation when there is an anomaly, they are reactive, rather than proactive. Their tactical role impacts end user experience. If your equipment and software works flawlessly – which is what your sales team promised – tech team interaction with end users is sporadic. To optimize the role of tech team interactions with end users, teach them to capture the end users’ voices between as well as during anomalies. When Tech Teams capture end user experience, the Voice of the Customer is observed as well as heard. Tech teams observe the holistic environment in which your equipment and software is deployed. When tech teams become proactive in their observations about people-machine interactions, they report real-time situational context for anticipating future anomalies and optimizing efficiency. Your tech teams are “always on.” They are best suited for staying close to your customers. Tech teams literally offer your company a reality check on whether customer expectations are met by machine and software performance across the human interface. Post service, end user feedback becomes qualitative as well as quantitative. Execution of customer experience strategy leverages the continuum of front-of-firewall as well as behind-firewall Voice of the Customer insights. 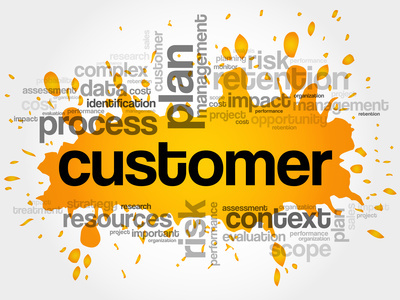 Capturing end user experience impacts customer success and customer retention. Engaging tech teams in the capture of end user experience creates a customer success opportunity for your organization. This opportunity is a function of the fate of these insights once observed and recorded as data points. Is end user feedback analyzed and shared within, as well as across, line of business units? Or are these data sequestered inside departmental data kingdoms? End user experience is a powerful tool when tech teams become collaborative partners in execution of customer success strategy. How close is your organization to implementing this type of engaged and innovative strategy? What are your next steps? Babette Ten Haken is a management consultant, strategist, speaker and coach focused on customer success for customer retention. She traverses the interface between human capital strategy for hiring and developing collaborative technical and non-technical teams. She serves manufacturing, IT and engineering intensive companies. Babette’s playbook of technical / non-technical collaboration hacks, Do YOU Mean Business? is available on Amazon. Visit the Free Resources section of her website for more tools.